Busy, well established mixed billing practice! 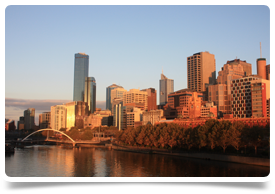 We’re recruiting for an experienced GP to join this modern mixed billing practice in a great location just 30 minutes from Melbourne CBD. The practice is a large integrated facility with 11 consulting rooms and a large treatment room. The centre has onsite allied health services including pathology and radiology. The doctors consult a range of hours to suit their work/life balance – This is a full time position and you will be contracted to work 38 hours a week with 1 night until close and 1 weekend shift every 4 (in addition to week day hours). • Friendly and supportive working environment. To be considered for this position you must have MRCGP and JCPTGP/PMETB or FRACGP or equivalent. The suburb is located approximately 30 minutes west of Melbourne CBD and is easily reachable by road and car.